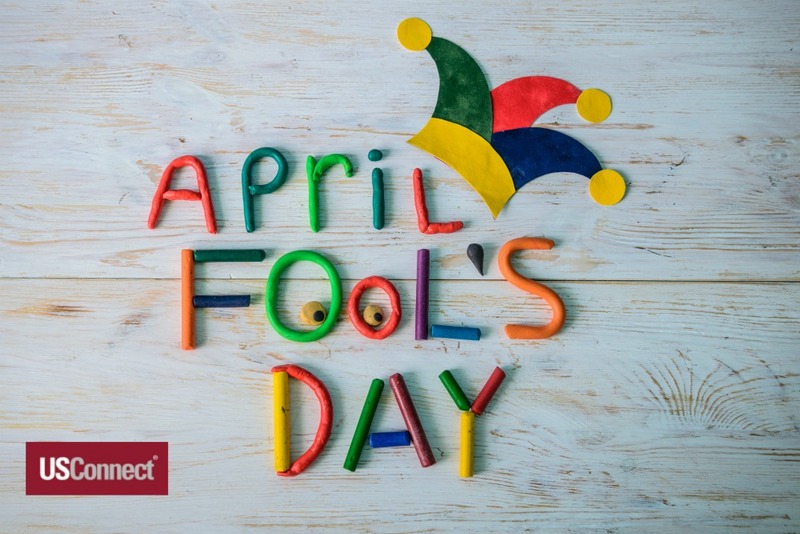 Happy April Fools’ Day from USConnect! USConnect is pleased to announce special nutritional trends and guidelines, especially for April Fools’ Day. Salt, Fat, and Sugar are the new Quinoa, Kale, and Goji Berries: Toss out those kale salads and make room for the latest health food trend: bacon doughnuts! In a stunning reversal, the people playing nutritionists on infomercials have declared that fatty, salty, and sugary foods are the healthiest foods of all. Super-sized bags of potato chips, multi-pack snack cakes, and deep-fried fast foods are all excellent sources of these three food groups. But for one-stop shopping for fat, salt, and sugar, look no further than the bacon doughnut: three food groups rolled into one! The More Stress, the Better: Despite years of research citing stress as a major contributor to heart disease, stroke, and obesity, new studies now suggest that stress is actually healthy! 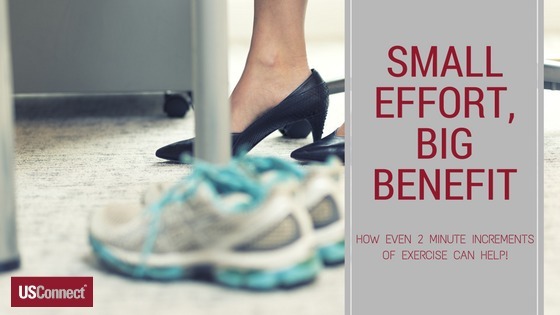 People who aren’t stressed enough may risk facial fatigue from too much smiling, or muscle tiredness from too much exercise. Beware, and get more stress today! Sitting on Couch Now Good for You: According to many experts who spend a lot of time sitting on couches, sitting on couches is now considered to be the healthiest possible behavior. In related studies, playing video games was found to be excellent for brain development, especially for young children. New guidelines recommend spending at least eight hours per day on the couch, preferably watching some sort of screen. Happy April Fools’ Day! 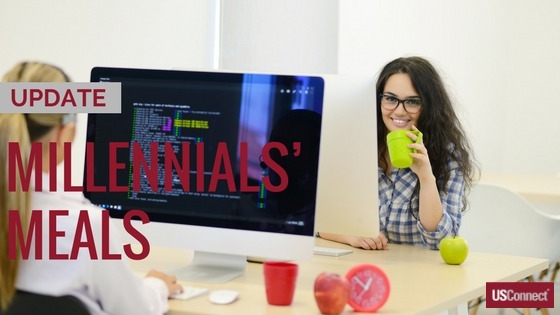 USConnect’s regular blog, filled with informative stories about nutritional and workplace trends, will be back next week. New Year’s resolutions? That’s so old hat. March is National Nutrition Month®, and it’s a great time to recommit to a healthier lifestyle. National Nutrition Month®, which started in 1973 as National Nutrition Week, is a nutrition education and information campaign of the Academy of Nutrition and Dieticians. This year, the theme is “Put Your Best Fork Forward,” and it encourages everyone to make healthier food choices. 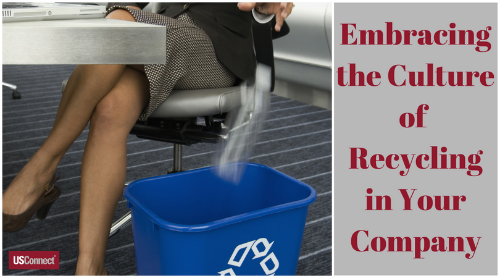 Even small changes, made consistently, can have a big effect. The Academy of Nutrition and Dieticians provides a robust toolkit on how to celebrate and promote National Nutrition Month®; it includes ways to get people involved with special events, banners, and educational materials. It even includes games like this timeline of fad diets. Along with such gems as the Baby Food Diet (14 jars a day), the Banana Diet (self-explanatory), and the Cabbage Soup Diet (the main side effect was flatulence), you’ll notice that similar fads tend to reappear again and again. For instance, 1985 saw the Caveman Diet which bears a striking resemblance to the Paleolithic Diet that is so popular today. Most of all, National Nutrition Month® is about making healthy choices. It aligns with the Dietary Guidelines for Americans 2015-2020 from the Office of Disease Prevention and Health Promotion. Not sure where to start? Check out MyPlate.gov which offers tracking tools, tip sheets, and even customized healthy eating checklists. National Nutrition Month® is a perfect fit with USConnect’s program: The Right Choice … for a Healthier You™. The Right Choice … for a Healthier You™ is managed by USConnect’s staff dietician and offers nutritional guidelines for fresh food products on each vending machine′s touch screen. 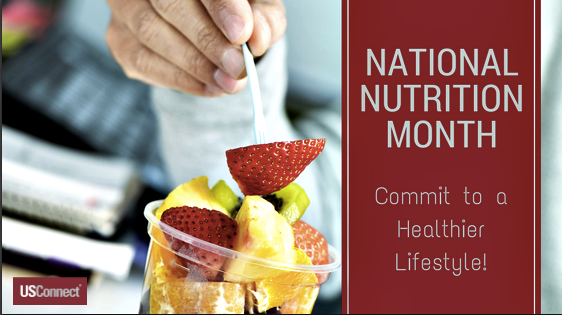 Benefits managers and others can use National Nutrition Month® to promote workplace health by making sure employees are aware of these healthy guidelines.